Grow Local B.C. 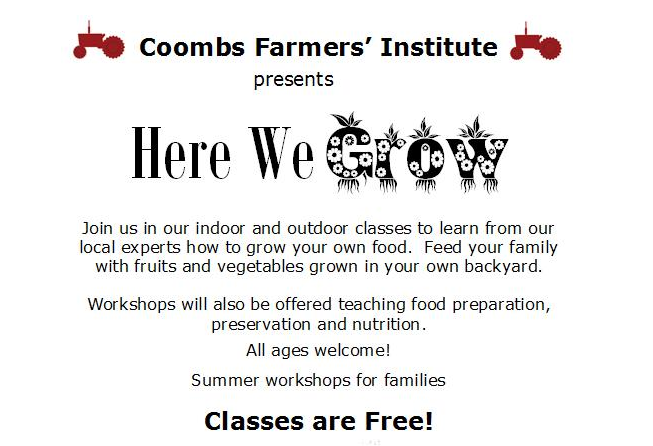 program has provided funding to Coombs Farmers Institute. We will be providing free workshops on - growing food, nutrition, preserving and much more. Stay tuned for more information.